2 - 10 $3.00 ea. 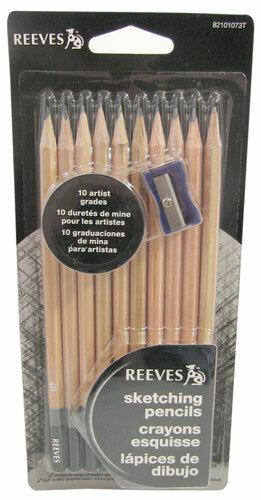 Nice set of (10) sketching pencils from Reeves, 7" long, running the hardness scale, (1) each at 4H, 3H, 2H, H, F, HB, B, 2B, 3B and 4B. 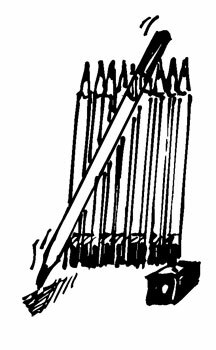 We like the 2B for our crossword puzzles and the included sharpener means broken tips are no longer an excuse to not finish them. We’re gonna tell you how it’s gonna be. 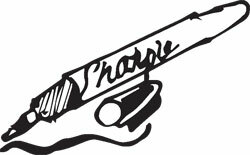 Faded markings on boxes and everything else are a thing of the past with these Sharpie® Extreme Fade Resistant markers. 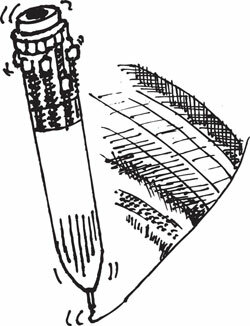 In dark blue, with a fine-point tip. Still good advice, no matter what you’ve heard. 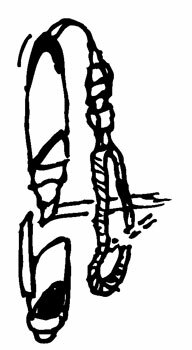 And much easier with this excellent 33-piece set of pointed brush-tip markers (black, brown, light and dark green, yellow, orange, light and deep purple and royal blue); 0.4mm fine-tip markers (light and dark green, yellow, orange, red, pink, sky blue, dark blue, brown and black); and (12) double-ended color pencils. 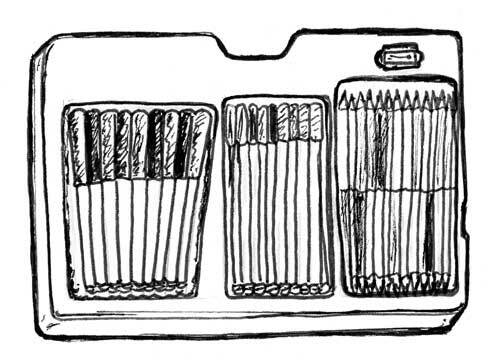 The whole artistic shebang comes in a tray with a pencil sharpener. From our friends at Helix®. Water color made easy. 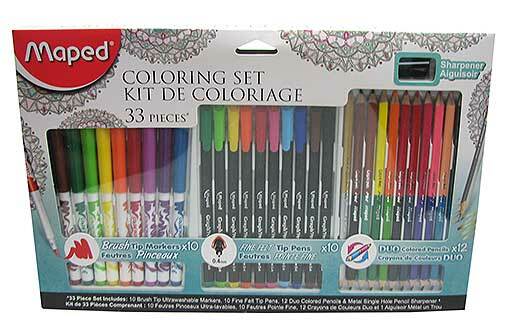 You get a pack of a dozen water-color pencils in light and dark blue, green, black, brown, yellow, peach, orange, red, pink and purple, plus a small paint brush. 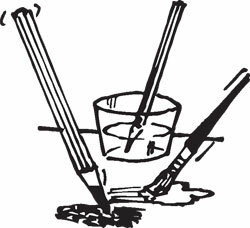 Draw with the pencils, then dip the brush in water and blend the colors. For the artist in all of us. 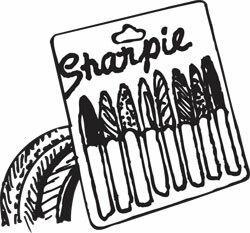 You can’t beat the original, genuine, authentic, standard, classic, fine-point Sharpie® permanent black marker with the pocket-clip cap. Just can’t. Accept no substitutes, unless we say it’s OK. Our each is a pack of two! One pen, ten colors. 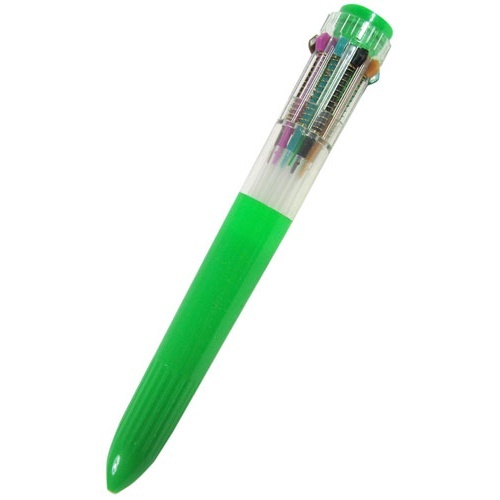 Develop complicated note-taking systems, or just send colorful hate mail with this 6-1/4" long ballpoint with cartridges in black, orange, dark green, purple, light green, red, brown, magenta, blue and aqua. Slide the button of the matching color to write, push the top down to release it. Assorted colored barrels. We’re out of red; you’ll have to make do. 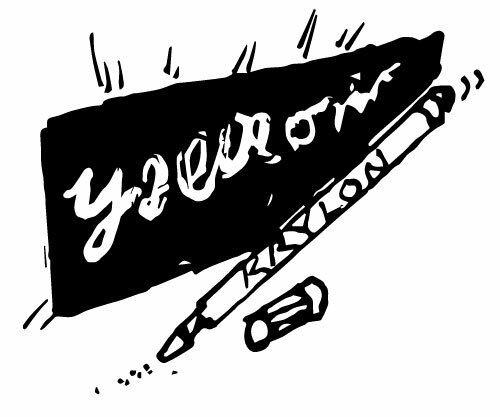 These fluorescent yellow paint markers from Krylon® have a 3/16” wide wedge tip. Paint dries within 15 minutes, the same time it took the Music Man to meet Marian the Librarian at the footbridge, so be patient. Can be used on fabric. 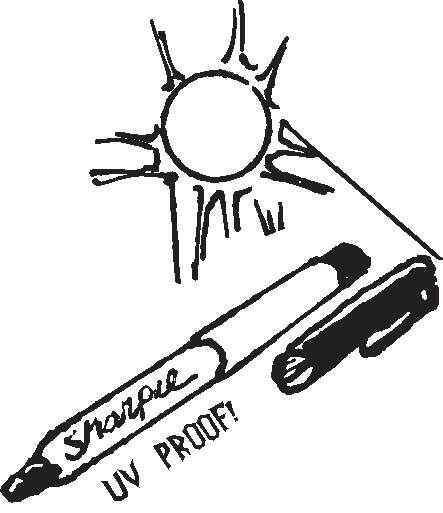 Genuine, original, accept-no-substitutes brand-name Sharpie®s for when you really mean it and want a permanent marker. You pick the fine point red or blue, or the blue with a 3/16” bullet tip. 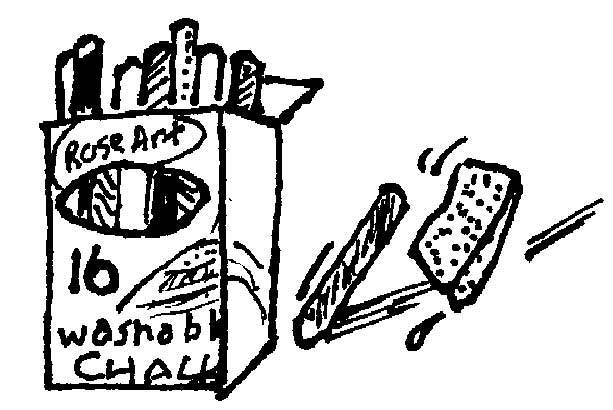 White chalk is fine but imagine the possibilities of a full palette of colors. Looks nice, right? 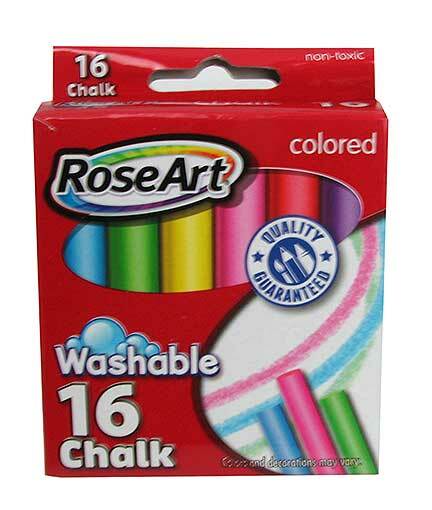 Our box is (16) pieces of washable chalk at 3-1/8” long x 3/8” dia, and you’ll get (3) boxes, each with (2) pieces of green, purple, yellow, pink, hotter pink, blue, orange and white, which is a color too. You'll never lose your chance to highlight something when you hang your highlighter around your neck. 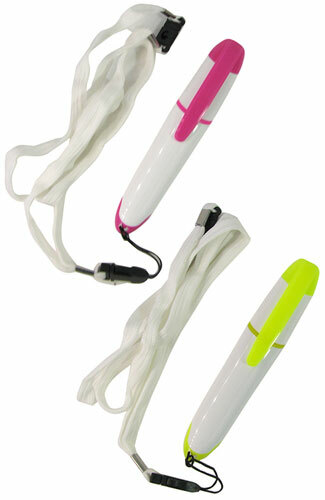 These have a 3/16" wedge tip (every true highlighter's choice), and come with a pocket clip and a detachable 18" lanyard. You pick yellow or pink. 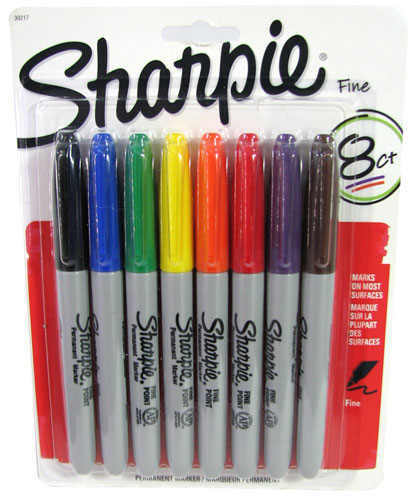 You get (8) fine point Sharpie® markers: black, blue, green, red, yellow, orange, purple and brown. Great for posters, labels and just general notes around the house. No charge for the pocket clips on the caps.